We are in the middle of December and Christmas is approaching, super fast. And there are a thousand and one things for me to do before we take off for our retreat in an isolated nook of Scotland just before Christmas. Yes this year, breaking our usual tradition of spending Christmas with friends and cooking up a huge feast, we have decided to spend it in solitude and as my husband says reconnect with our inner selves. Wish me luck, me who needs to check her phone every minute for Instagram, Twitter, Facebook, Whatsapp updates, is going to be without any mobile or internet connection for one whole week. When husband initially hatched the plan, it seemed exciting, the idea of living in a log cabin, not having much connectivity, reconnecting with nature and self etc etc. But as the day of the retreat comes nearer, my enthusiasm for this adventure is decreasing rapidly. Maybe once I hit the roads and actually get to this spot, I will be okay. But for now I am very comfortable living in the hustle & bustle and being a smart phone addict, thank you very much. 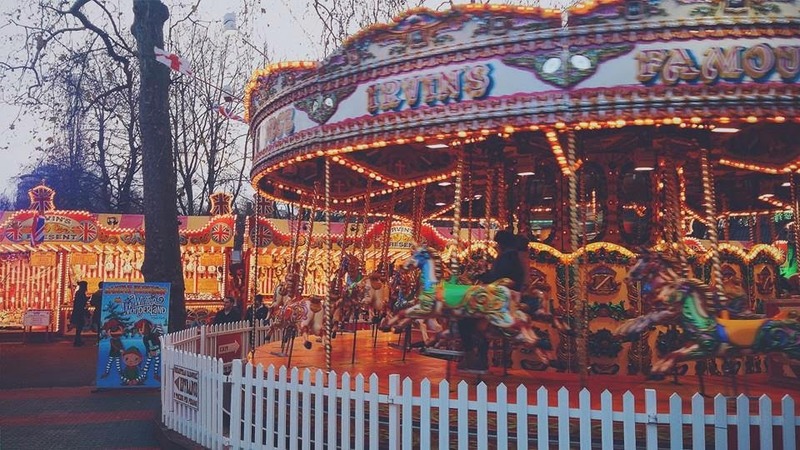 I love December in London with it's festive air. So much is happening, the lights are up, the retails stores have gone all guns blazing to attract the frenzied shoppers and the Christmas markets are up all over. Mulled wines and spicy German sausages keep calling my name. The Christmas playlist is playing in a loop and I am soaking it all in. Best bit is majority of my gifts are done this year, you can read more about them here. And I have no feast to cook up this time round, so I can relax a bit and not stress over those bits. The temperatures have dipped it being December and all, some days rather precariously so. And the number of cups of tea I have, have significantly gone up. In my kitchen the overworked kettle is never silent. I am forever cradling a cup of warm tea in my hands and enjoying the heat it brings. 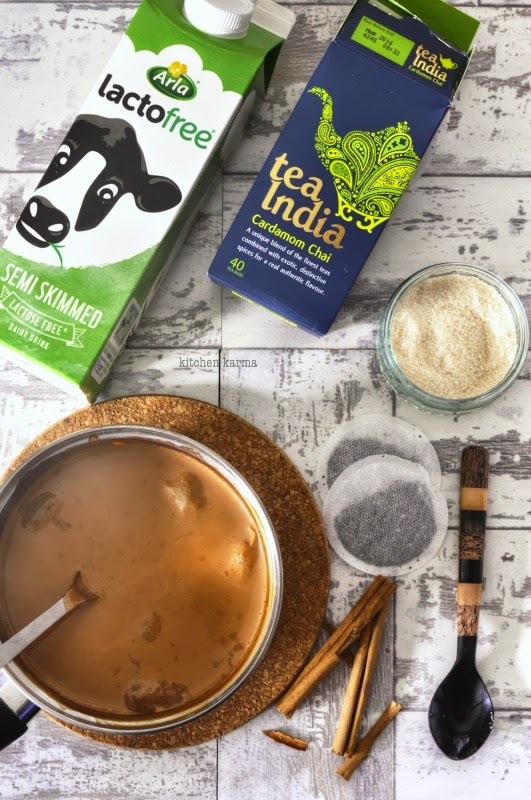 So when Lactofree (dairy without lactose for the intolerant) wrote to me telling me about their winter warmers and whether I would like to take up their challenge of creating a winter warmer of my own, I had to say yes. 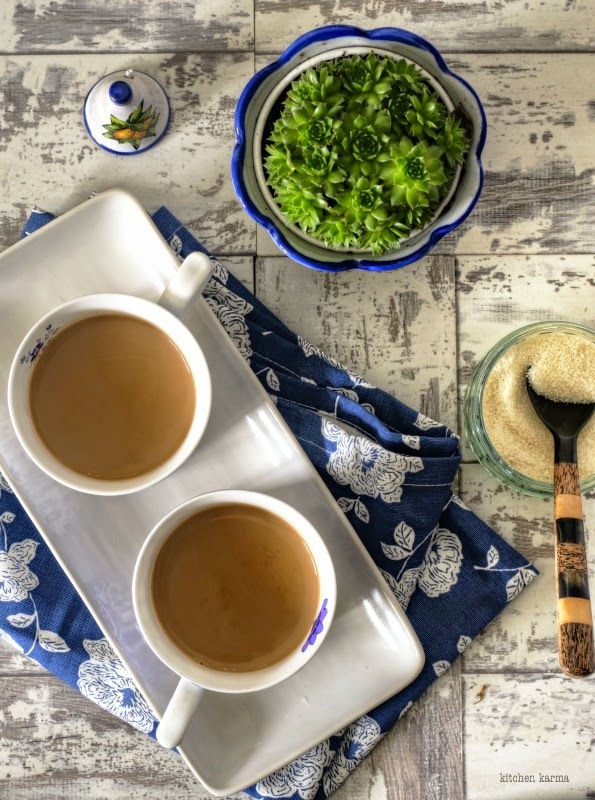 I was mulling over multiple hot beverage recipes, but while making tea the other day I thought why not recreate the traditional Indian chai recipe and share it with you all? Now chai in India is as diverse as the country itself. There are so many recipes and versions, that even if you drank a version a day, you wouldn't run out of versions in a year. For this challenge I am doing the cardamom chai. Putting spice in chai/tea is rather popular, specially during the winters. Indians believe that spices warm up the body and help us counter the cold. Of course there are numerous recipes of spiced tea. Today I am doing the simple cardamon tea. 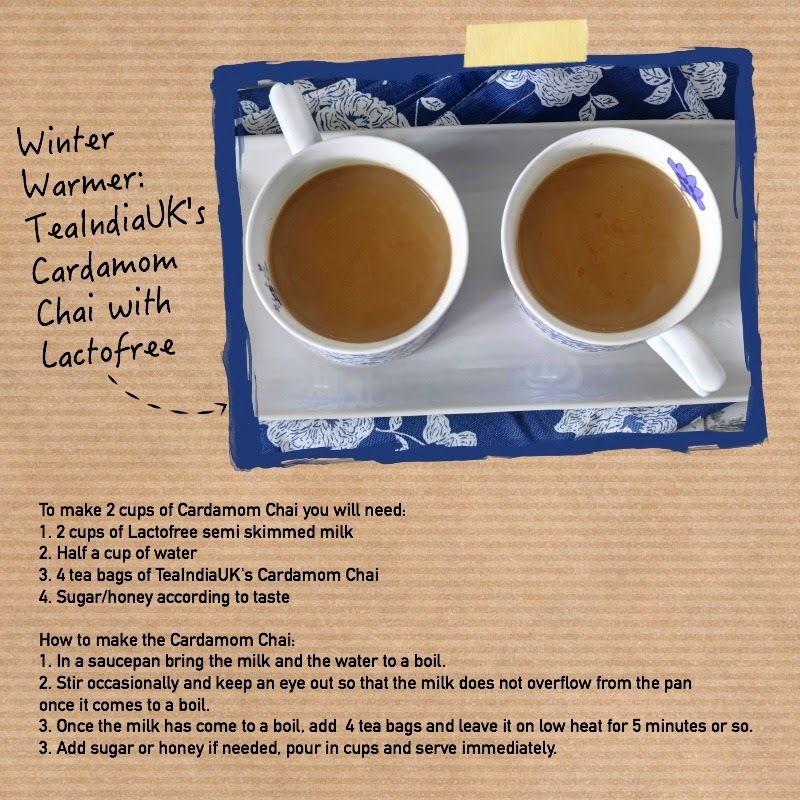 I could cut the recipe short because I have TeaIndiaUK's Cardamom Chai tea bags. These tea bags are my absolute favourite, most of the times I dip them in hot water and have a normal cup of tea. But when I am feeling indulgent or when we have guests over at home, I use these to make traditional Indian chai. Do give them a try, in case you can't lay your hands on them, I will give you the longer version of the recipe. This chai warms you up and is specially good if you have caught a cold or you are just back in from the cold outside. It warms you up in no time and the cardamom-y smell transports you to warmer climes and sun kissed lands. It's the tea which Indians, specially North Indians drink a lot. North India being situated in the foothills of Himalayas have really cold winters. One of the best ways to warm up during those bitterly cold days is to sit beside a roaring fire and drink this fragrant tea. There are tea stalls every half kilometre in all the cities and towns of India and during winter these stalls do brisk business. 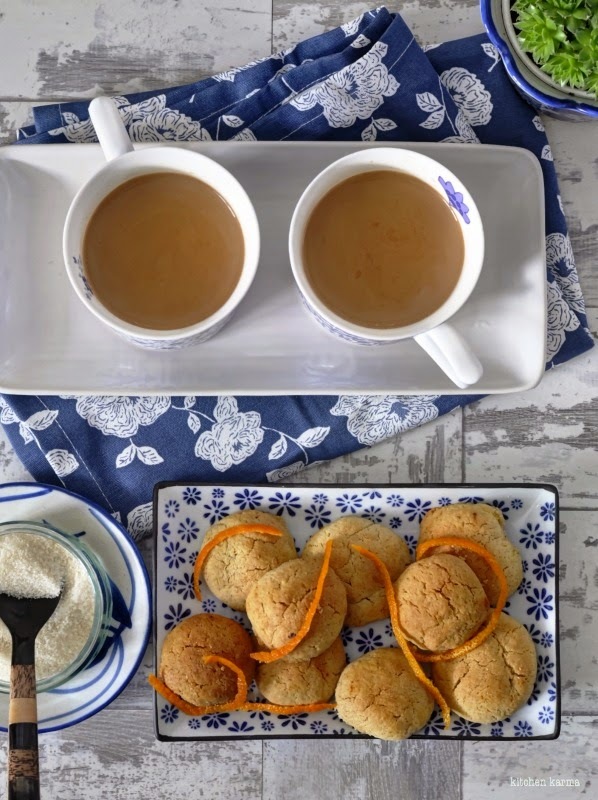 The Cardamom Chai tastes great when served with cookies or biscuits. Watch the space for the recipe of cream cheese and orange cookies. Thanks to Lactofree and TeaIndiaUK for sending me their products, the opinions expressed are my own. Suchi , yoohoo !!!! How's your Christmas shopping going ?! You're going to Scotland , I bet it would be much colder there than London :D It's a bit cold here as well and hot drinks are always welcome . I've been drinking green tea lately but your cardamom chai sounds pretty delicious !